The Plant Diagnostic Clinic was “on the road” at last week’s Tooele County Fair. Gardening problems? Who you gonna call? Being a part of the gardening community here in the valley, as well as along the Wasatch Front, has been a great thing. For those of you that engage with many of the fine people in gardening and attend horticultural-themed events around here, I’m sure you will agree. I had heard about the Master Gardener program before moving to Utah in 2001. A friend of mine was highly involved in that program in Tucson, and did quite a bit of work with community gardens. He was also quite an accomplished cook, and used a lot of what he grew in what he prepared. You might be interested to know that there was a Larry Sagers-type gardener in my Arizona setting as well. George Brookbank was very well-known in the agriculture community, was a featured speaker at many a gardening or farming event, columnist, television host, and a published author. Like Larry, he was a magnetic personality and was just plain fun to learn from. The fact that he had a British accent didn’t hurt his charisma either. George actually began the Master Gardener program in Tucson. As interested as I was in formally completing the Master Gardener program, I did nothing about it at the time. However, seeing what was accomplished in Tucson nudged me along the way and my interest was renewed after meeting the great gardening community here. When I completed the Master Gardener courses, I realized an interesting thing — completing the course meant that my learning was only beginning. There’s a common misconception I encounter among my non-gardening friends, or those that are just beginning their horticultural journey. When they hear that I, and others, have earned the Master Gardener designation, they assume we know all things gardening. Are you kidding? There is so much to know, in so many areas, that having mastery of more than a few gardening topics can be quite an accomplishment in itself. It’s true that a working understanding of foundational topics such as soil, germination, fertilization, irrigation, pest control, light requirements and the like come in really handy, but knowing the myriad details that accompany those topics can be daunting. Add to that the attempt to know the names and growth habits of thousands of flowers, shrubs and trees, and your brain can run out of storage space. As unlikely as it may sound, some sage advice comes from Clint Eastwood’s character, Dirty Harry, when he says, “a man’s gotta know his limitations.” With so much great stuff to know, and limited time and capacity to know it all, what’s one to do? I’ve found that you don’t need to know everything firsthand. What you DO need to know is where to find the right resources, including people and materials, you can draw upon when you need an answer. 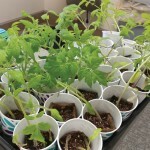 One such great resource, available right here in our valley, is the Plant Diagnostic Clinic. There are times when, in spite of your best efforts, things can go sideways in your vegetable garden or ornamental yardscape. With so many variables to sift through, having some experienced people on tap to bring clarity and suggest next steps is very much welcome! The clinic, offered free of charge and staffed by volunteer Master Gardeners, is open every Wednesday through October. You can visit the clinic from 3-6 p.m. in the USU Extension Building, 151 N. Main Street, in Tooele. When you enter the front door, look for the signs that will direct you to Extension Library, where the clinic is held. When you go there, it’s HIGHLY likely you are going to meet my friend Justin Wiker. Justin is a mountain of a man, and I have the sensation I’m experiencing bone loss every time I stand within 10 feet of him. Size not withstanding, you’ll not find a more gentle and learned soul when it comes to horticulture. Mr. Wiker (rhymes with “biker”, which goes along nicely with the fact that when he was in college he rode his bike everywhere, earning him the moniker “Wiker the Biker”) comes by his horticultural acumen honestly. Justin has been a key member of the grounds department at Salt Lake Community College for 14 years. He’s earned a bachelor of science of horticulture (with an emphasis on ornamental plants) from USU. Last year, he completed the Master Gardener course here in Tooele, continuing to reinforce his range of knowledge. Justin volunteers and heads up the Plant Diagnostic Clinic in our area. 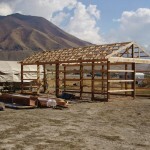 These clinics are part of the charter of Utah Master Gardener Programs and the outreach mission of the extension offices of each state’s agricultural land college. The fact that we call all those associated with Utah State University “Aggies” is a dead giveaway that USU is our state agricultural college. The diagnostic clinic is just another facet of the extension office’s mission. The name “extension” means just that — extending knowledge out into the community in order to provide skills, insights and resources that allow people to live a more successful self-reliant life. Sometimes that means understanding what is happening when something is going wrong with our plants and trees. So, when something is eating your plants and you don’t know what it is, Justin and his team are your go-to place. When disease develops, there are unknown insects, or a plant suddenly starts dying, chances are you can get help at the clinic. Not bad for something that is staffed by fellow lovers of gardening, and offered free of charge. Depends on what? Factors such as moisture (too much or too little), soil composition, temperatures, environmental conditions, exposure, cultivar, active pests and fertility all come into play. Working through these topics and others allow a course of action to be prescribed. I asked Justin to tell me the most common problems he has seen so far this year. He said that because of the type of spring we had, with mild temperatures and plentiful moisture, insect life is more robust than usual — including not only beneficial insects but those that cause problems such as thrips, leaf-hoppers and spider mites. That has led to quite a bit of plant damage and need for good control practices. The spring weather was also favorable for growing funguses — including anthracnose. This is a particularly virulent fungus, and when Justin diagnoses it, he characterizes it as “delivering the bad news.” It can flourish on a variety of plants, trees, shrubs, and even turf. Not only was the cool, wet spring perfect for it to get going, but it continues to thrive at 90-95 degrees Fahrenheit. Good thing there’s always next year for different conditions to help suppress it. Justin knows when it comes to certain weeds and pests that control, not elimination, is the operative word. It takes ongoing vigilance and effort to not be overrun by various issues. 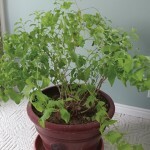 He’s been asked more than once, “how do you get rid of morning glory (binder weed)?” He agrees with northern Utah gardening author and radio personality, Joy Bossi. The best solution? Move somewhere else! It’s going to be with us, so the best approach is to create conditions to suppress it. So, if you have a problem that is stumping you, lean on a great resource to get some answers fast. Remember, you can visit the Plant Diagnostic Clinic every Wednesday afternoon through October from 3-6 p.m. at the USU Extension Office. 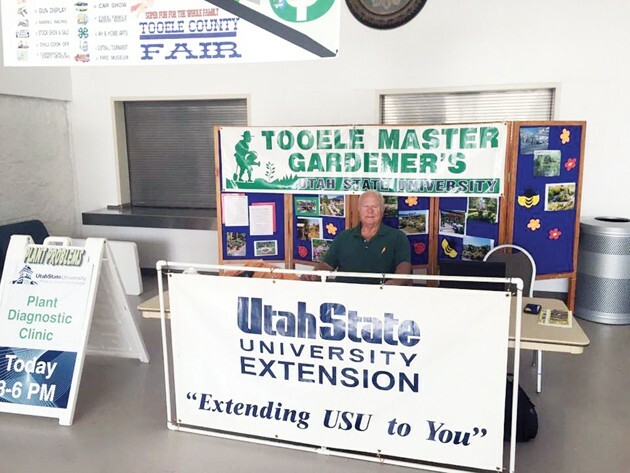 Or you can contact them via email at tooelemastergardeners@usu.edu. And don’t forget “Dirty Harry’s” sage advice — you’ve got to know your limitations. Good thing they are greatly lessened when you have some great allies on your side. So stop by, say hello to Justin and his team, and tell ’em Shorty sent you.